With 2,000+ members, SAP Leonardo customers, partners, and experts are part of an exclusive international community supporting your SAP Leonardo implementations and adoption initiatives. We encourage you to register for the webinars below, and join us! If you are already an iFG member, you have access to past webinar recordings and materials. 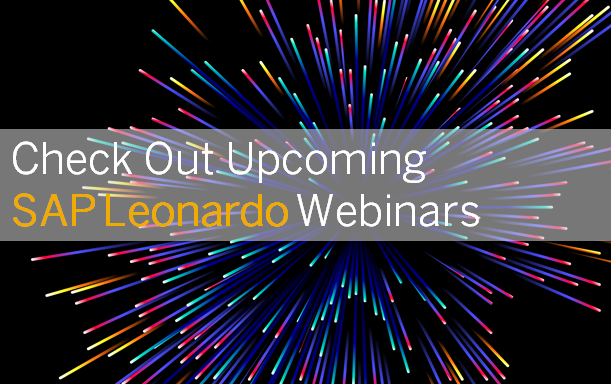 If you are new to this global SAP Leonardo community, then register for access @ www.SAPLeonardoCommunity.com. Companies face many challenges during the outbound logistic process to achieve their goal of delivering their products on time, with the right quality as specified in their specific level agreements, with their customers. 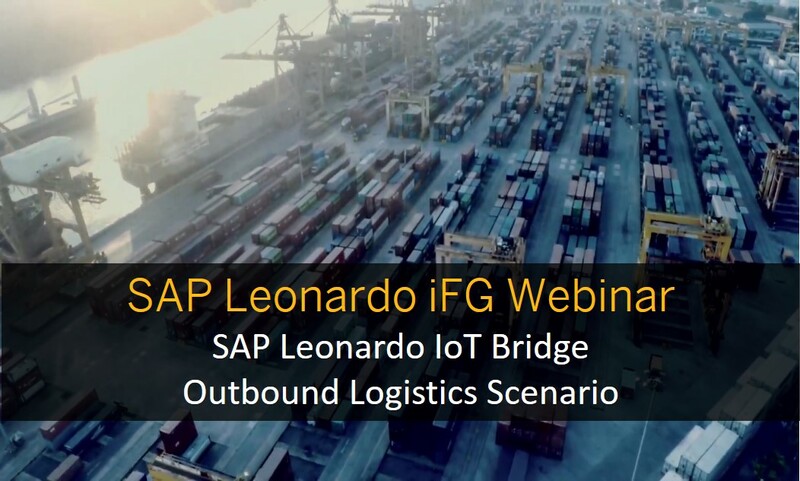 The “Outbound Logistic Scenario”, the frontrunner scenario for SAP Leonardo IoT Bridge, is a solution to identify and address these challenges. In this scenario, SAP Leonardo IoT Bridge correlates business data from SAP backend systems with sensor data, from multiple source applications, to provide end users with a complete view of the outbound logistic business process. During this session, we will explain in detail the outbound logistic scenario and how customers and partners can innovate within their organizations. New systems of intelligence are emerging through embedded artificial intelligence, machine learning, analytics, IoT, big data and blockchain. These data-driven systems of intelligence have the power to enable digital transformation and new business models. 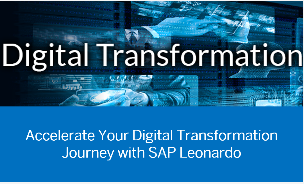 SAP Leonardo, SAP’s digital innovation system, integrates breakthrough technologies, and runs them seamlessly in the cloud. It offers design thinking methodology and best practice expertise to help organizations rapidly adopt new capabilities and business models. Find out how to accelerate innovation and enhance scalability. Discover what the SAP Leonardo portfolio is and how it brings together the core of your business with powerful new innovations that offer game-changing benefits. Hear how customers and partners are gaining from their own digital transformation journeys. Join us for this global session provided by ASUG and the SAP Leonardo iFG Community teams.